Right from childhood, I was often fascinated by those flashy LED lights which everyone used to put up on Christmas, Diwali or in festive celebrations in my town during Onam. I always used to wonder how these LED strings used to work. “How were they able to get it to sequentially blink”? I tried to search online, but couldn’t really find a schematic for it and whatever I could find, had a wrong schematic. Last week, something reminded me of these lights and I had to figure it out once and for all as to how these worked and why they were this cheap(I could buy long LED strings with different programmed lighting pattern for less than a dollar). 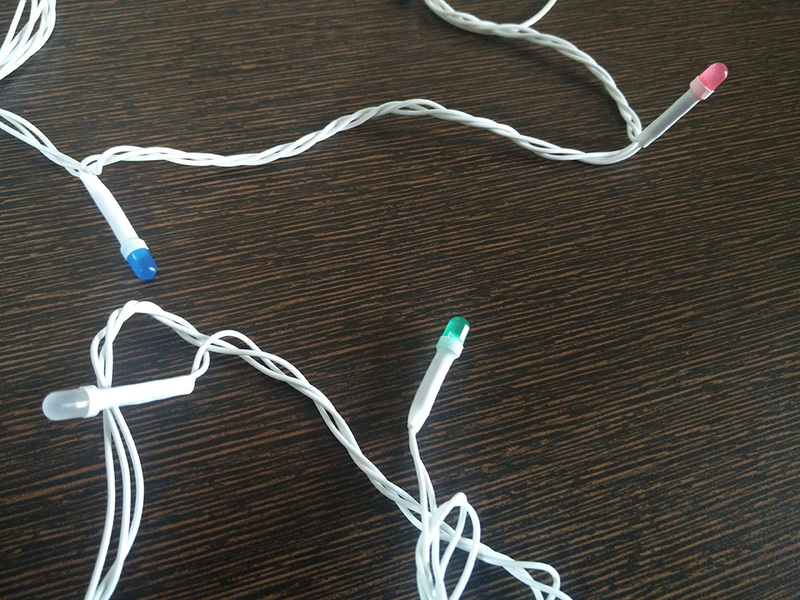 I went down to the supermarket and got a string of 28 LEDs(Multicolor), they were on a discount sale for INR 50(0.7$). 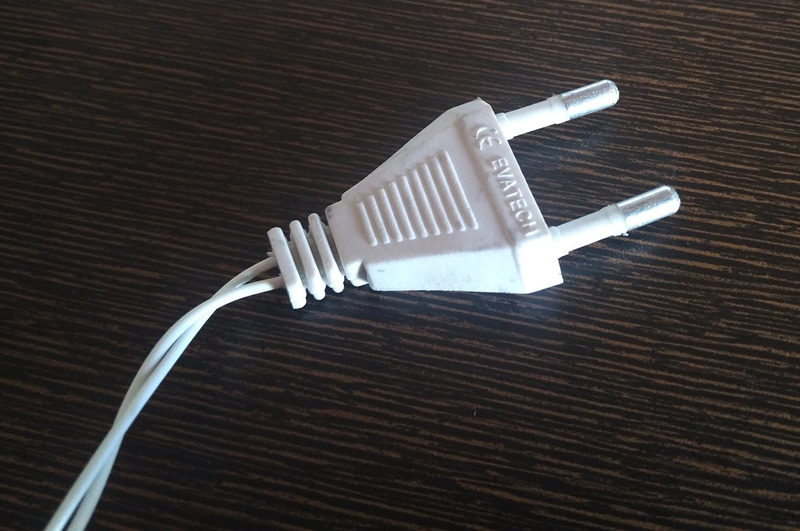 It plugs into your normal 240V or 120V AC power plug in your home. It has 8 pre-programmed modes which can be cycled by a push button. The build quality, as you would expect, is not that great, but for less than a dollar, that’s all you can hope for. It’s a dangerous circuit with no protection from the AC main lines. Be extremely careful trying to play around with these circuits while it’s turned ON. (I got a couple of mildly nasty shocks myself) This device, is as cheap as it can get. Just think about the manufacturing costs of these devices, if they are retailing for a dollar. It has 28, 3mm diameter LEDs and contains red, blue, white, green LEDs stringed together in a sequence(More on that, a bit later on). Right, let’s take it apart and get down to the electronics. It consists of a single side PCB with bare minimum components. It contains a COB or Chip-on-Board(Probably a cheap micro/ or an ASIC). Most of you would have seen this as a black blob(like the picture above) in cheap electronic devices like calculators and toys. That black stuff is epoxy resin. These are similar to your normal ICs devoid of the external package. It only consists of the raw semiconductor die. The semiconductor die is soldered by an automated machine to the PCB via extremely thin wires. This process is called Wire-Bonding. A blob of black epoxy is poured on top of this wirebond to protect it. If you want to learn more about this, checkout Sparkfun’s blog post on how chip-on-board devices are made from a factory in China. It’s a fascinating read. I did some reverse engineering by tracing out the circuit and following was the schematic I was able to come up with. As you can see, it uses a couple of 3-pin SCRs(Silicon Controlled Rectifiers). SCR part number is PCR406(Datasheet). SCRs are usually used as a switch in AC circuits. For those of you who don’t know what an SCR is or have forgotten about from your engineering device classes read on, I will very briefly explain its working. For more detailed explanation checkout this link. SCR is an unidirectional, four layer p-n-p-n device as shown below. It consists of an Anode, Cathode and a Gate. The gate controls the follow of current between the Anode and Cathode. 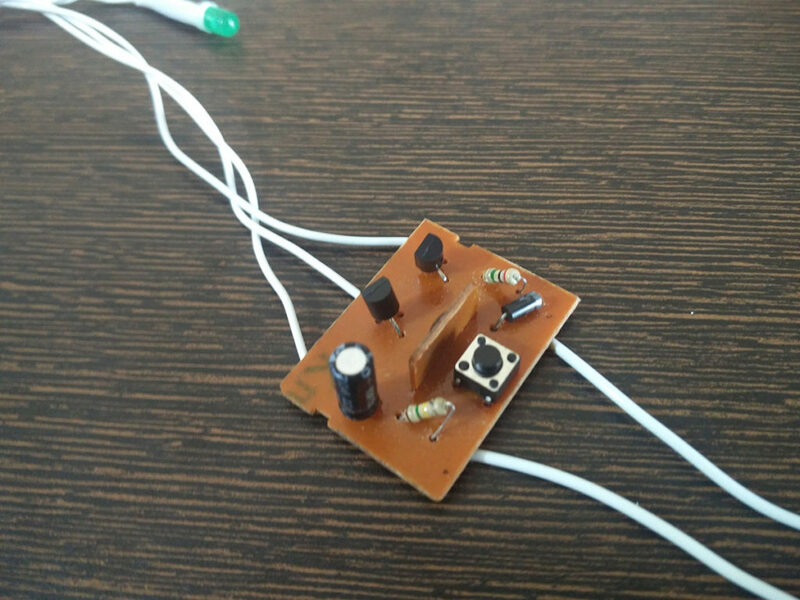 There are different ways of turning ON a gate, we are focused on particular mode, wherein there is a positive voltage being applied to the gate with respect to cathode. When that happens, that junction is forward biased and there is a current flow. 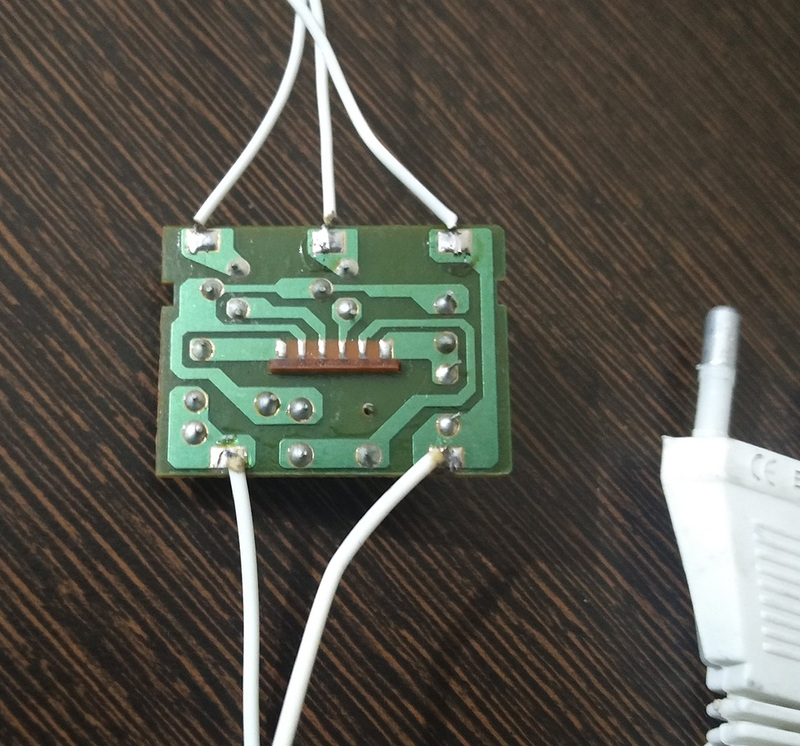 This current is called as the Latching current(6mA for PCR406 from its datasheet). Once the gate is turned ON, if there is a positive voltage at the Anode side, a current can actually flow through the SCR. 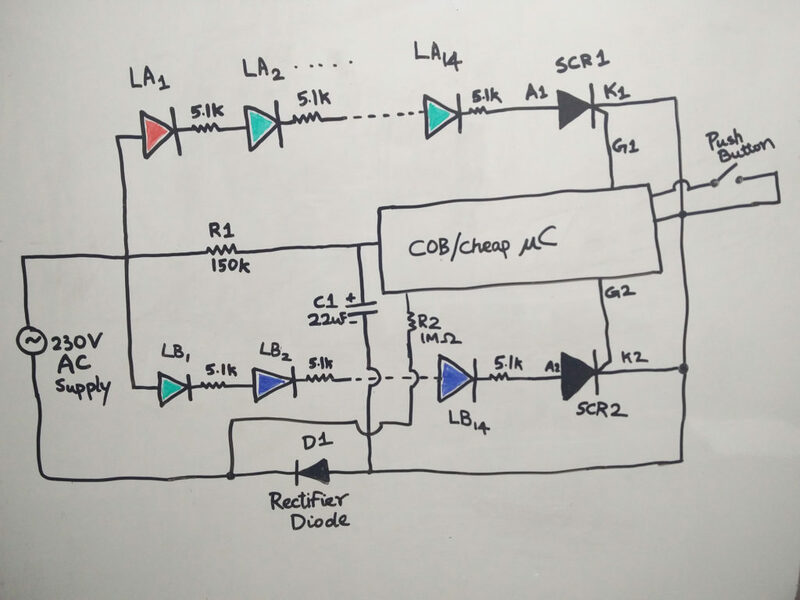 Now even if the Gate pulse is turned OFF, current continues to flow till the point when the current through the SCR drops below a value called as Holding current(5mA for PCR406 from its datasheet). If you are still confused as to how it works, check out this video. Now, let’s go over the rest of the circuit. There are 28 LEDs split into 2 arms of 14 LEDs each(LAx and LBx). First 4-5 LEDs on each arm have its own current limiting resistor of value 5.1kΩ(Resistor is soldered on to the leg of the LED and heat-shrinked with a sleeve). Each arm is controlled by an SCR whose gates(G1 and G2) are driven by the Chip on Board. During the positive cycle of the AC waveform, a positive voltage pulse from the COB(once the latching current is reached) turns ON the SCR and a current flows in a particular arm. Now the current continues to flow in this arm till the input 230V AC waveform moves to the negative half and the SCR will be turned OFF. The timing triggers of the SCRs from the COB are during the positive half of the AC waveform as it conducts only in the positive half cycle. Now, how does the LED strip give out all these crazy blinking patterns if they are connected only as 2 arms? There lies the beauty of this design, the LEDs are not wired one after the other in a single arm in appearance although the schematic-wise it’s like that. Meaning, the two arms are intertwined with each other visually. Now control the timing of turning ON section of these SCRs with a controller and you can get those fancy LED sequences along with Fade effect (depending on which point in the positive AC wave you trigger) on the SCR’s gate. 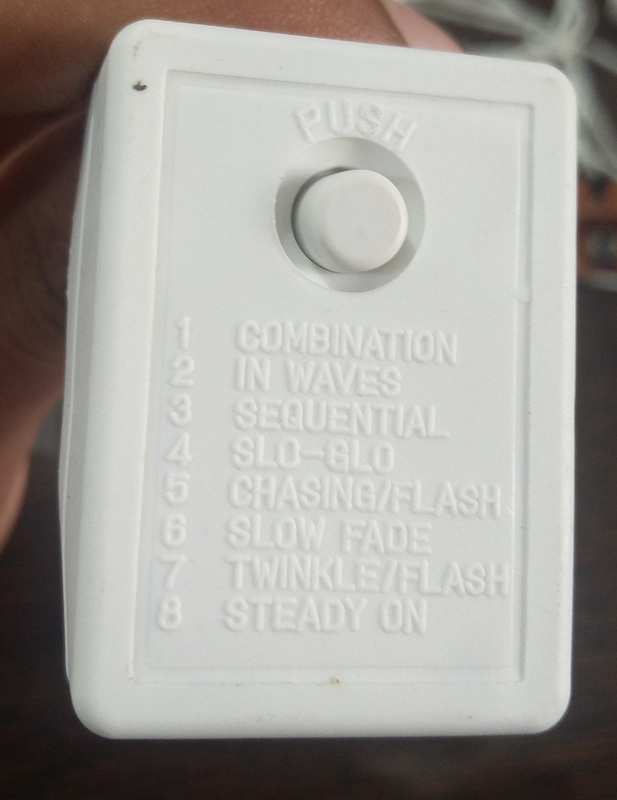 The push button is connected probably to one of the I/O ports of the COB and it tells the controller to cycle through the prerecorded LED sequences. The resistor, capacitor and the diode path(R1–>C1–>D1) helps provide a DC voltage across the power pins of the COB. 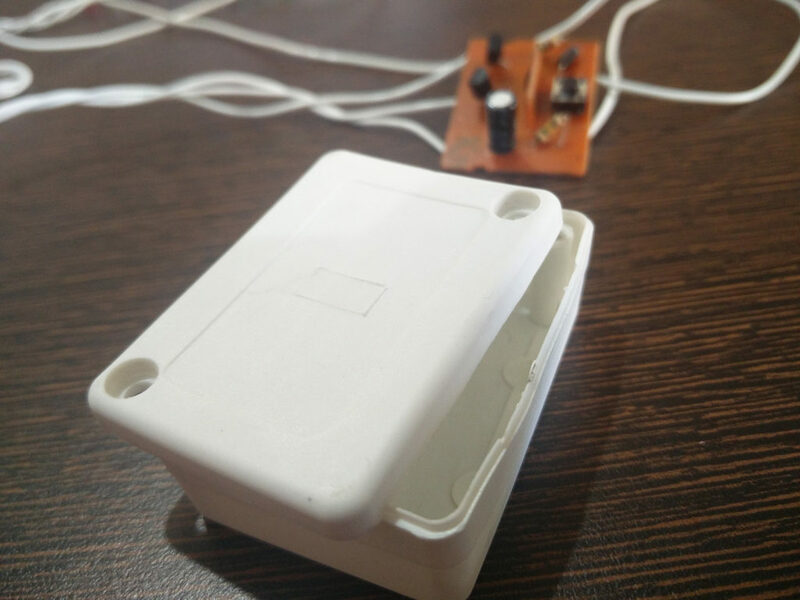 I am still unclear about the function of the resistor R2(1MΩ) which is connected between the one of the AC terminals and the COB. Maybe it’s a pull down resistor? (If you know what it is for, do let me know in the comments below. POST EDIT: Check comments. 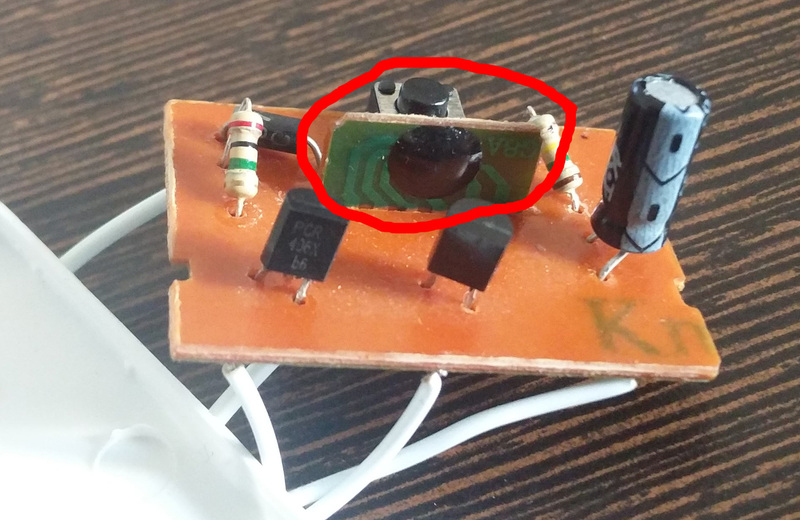 Its used as a reference resistor). 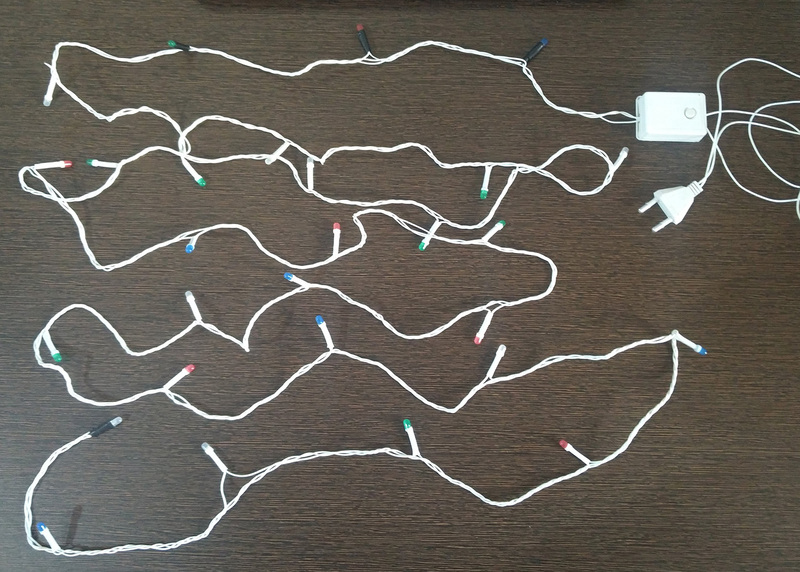 Well, this design is scalable to any number of LEDs and any number of patterns. For really crazy patterns, all you need is more parallel LED arms and each of those arms being controlled by individual SCRs. Do let me know in comments or via email at amaldev.000@gmail.com if there are any issues with the schematic or the working principle. Feedback is welcome. I didn’t have oscilloscope lying around while I was doing this teardown, it might have been great to see some working waveforms. Maybe I should simulate this circuit online in EasyEDA. If there is enough interest, I might go ahead and do it in my free time.